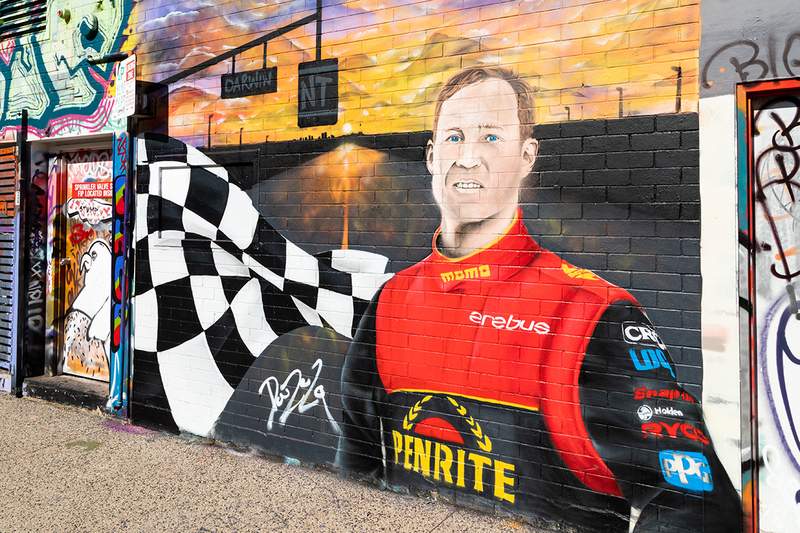 Erebus Motorsport driver David Reynolds now features as a piece of street art in Darwin, ahead of Supercars’ visit to the Top End next month. Reynolds today flew north to visit Hidden Valley Raceway and the city of Darwin itself, which also hosts a street art festival in October. 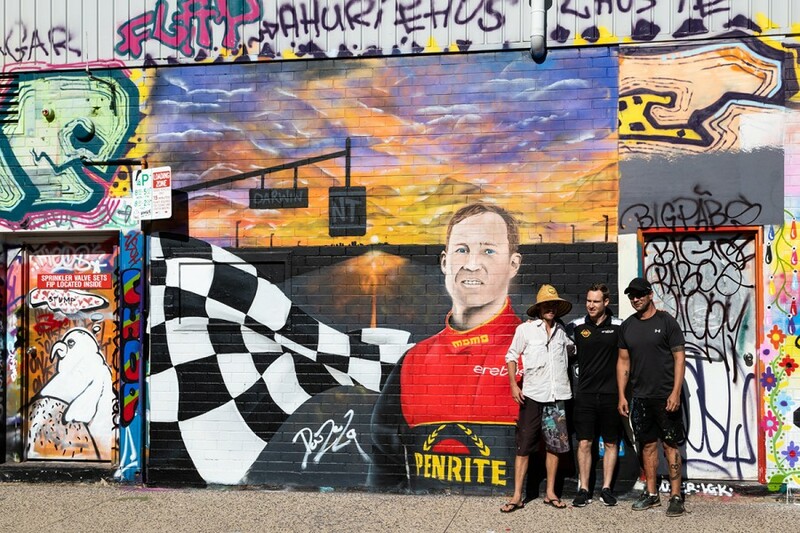 There, Reynolds was surprised by a mural of himself painted by local artists Shaun Lee and Mark Noble, before tagging his own signature as the finishing touch. “It was a strange feeling,” Reynolds told Supercars.com. “It was a pretty good surprise, I had no idea. I walked around the corner and there’s my face on a piece of street art, just hanging out! It was kind of an odd feeling. “Along that strip there’s heaps of new street art that the city’s promoting, it kind of fits in with the whole theme of that street, but it’s pretty nuts. “I did my little signature, but my spray can ability is pretty bad, I should have left Shaun and David [Collins, mural co-ordinator] to do it. The June 15-18 event will be the 21st running of the Supercars event at Hidden Valley Raceway, the maiden event held in 1998. Reynolds won at the circuit in 2015 with what’s now Tickford Racing, and finished eighth and seventh last year. He has set his sights on becoming the first driver to win the Triple Crown of both races and lead Sunday’s ARMOR ALL Top 10 Shootout. 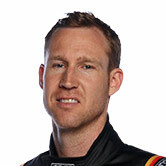 “They’ve had the prestigious Triple Crown which no driver won for 21 years and I’m going to be the first driver to do it. Place your bets on me!” he joked. “Everyone loves coming to this race,” he said. "Look at the weather, it’s absolutely perfect. The weekend’s Rock & Race concert line-up features Australian rock favourites Jet and The Rubens on Saturday evening. On the Sunday night, hip-hop trio Bliss n Eso, Thundamentals and Mallrat will bring the event to a close. On-track, the Virgin Australia Supercars Championship will be accompanied by Porsche Carrera Cup, Touring Car Masters, Aussie Racing Cars, Improved Production and HQs. The event will also feature an expanded family offering including the Disney Fun Zone and Disney Pixar Cars, Australian Defence Force Display and RAAF Flyovers, the Hot Wheels Stuntz Team and ShowTime FMX. “The 21st Birthday of the CrownBet Darwin Triple Crown will be a celebration of all things Darwin, with fan favourites alongside a fantastic family offering at Hidden Valley," Northern Territory Major Events GM Tim Watsford said. “This year is all about the fans, with more value for money at the event, as well free activities in the city centre during event week.